It’s the same old story: if you love Apple, you better also love carrying around little adapters. 1. Headphones jacks are a potential point of failure. This is especially an issue on the iPhone, because users store them in pockets and whatnot. Any is an entry point for dirt and contaminants, and causes water resistance issues. Also, while this always seemed weird to me, I know some users are known to snap off the end of (presumably sub-par) minijack connectors. Any of this means a potential repair, and Apple likes reducing repairs. 2. A headphone jack may be an obstacle to greater thinness. Now, whether or not you personally want your phone to be any thinner, we know Apple are more than a bit compulsive about thinness. 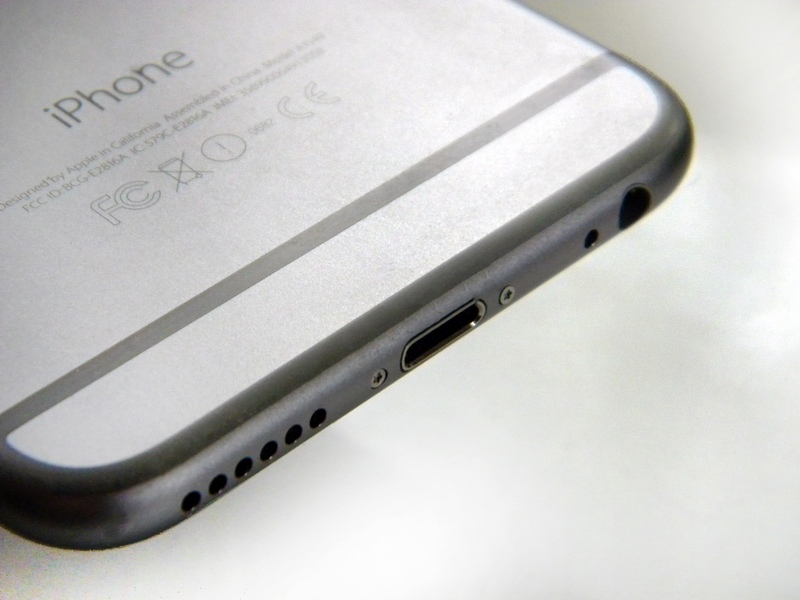 A visible inspection of the iPhone 6 makes it clear that the 3.5mm jack is an obstacle. 3. Lightning jacks mean more control. Speaking of things you already knew about Apple, you knew this would be appealing to them. Accessories with Lightning jacks can be forced into the Made for iPod certification program (MFI), which since the days of the iPod has allowed Apple to have say over who is certified as an accessory and how those devices are designed. 4. Apple’s now in the headphones business. Yeah, remember that Beats by Dre acquisition? So far, we’ve mostly seen the Apple Music service fruits of that deal, as well as an expanded position in the music industry thanks to the Rolodex (or, uh, Apple Address Book) of that company. But some sort of headphone accessory tie-in was inevitable. This is the part that might actually inspire some curiosity. Okay, so all of that is easy to explain. The most annoying part of all of this is that it appears to be producing some confusion around “digital” headphones. Of course, there’s no such thing as digital headphones (well, not until we all start living in the Matrix and jacking digital data directly into our brains). What happens here is that the digital-to-analog circuitry moves from the phone to the headphones. That could potentially have some sort of benefit as far as electrical interference, but beyond that, there’s no reason to believe it will make any difference at all – and mainly might become a reason for headphone makers to charge more. Now, readers of this site can probably count themselves among the people who will be genuinely sad to see the little port go. For us, an iPhone is an essential music device, and being able to conveniently plug any headphones into it is a big deal. Having to make other concessions is unquestionably an annoyance. There are some reasons not to make a big deal out of this, though. First, there will almost certainly be an adapter. A simple Lightning-to-3.5mm adapter doesn’t exist yet presumably because it isn’t necessary on the current device range. But I expect it to appear with the iPhone 7 launch, in those characteristic white boxes, at the usual hefty price. I also expect that I’ll wind up losing one or … three … and having to buy more. Great. Important note about the adapter: recall that there’s already an analog audio breakout as part of Lightning, meaning an adapter doesn’t even need to contain digital-to-analog circuitry. I left this note out of the earlier draft. Second, let’s be fair: it isn’t entirely possible to just connect any pair of pro studio headphones into an iPhone or even your laptop and have it work properly. Higher-impdedence headphones can sound too quiet and under-perform. In fact, hopefully the move triggers a crop of “pro” audio adapters to resolve both issues at once. Thirdly, expect the pro headphone market to take this as an opportunity. I fully expect the likes of Sennheiser to come rushing in with new iOS audio adapters. And while I have limited faith in Beats’ ability to make good headphones for the money (hopefully Apple rubs off on them a bit), there’s nothing stopping some other makers. Lastly, expect Bluetooth audio to become a solution even beyond adapters and Lightning ports and the like. Bluetooth audio has a bad reputation in the pro audio world partly because a lot of people were exposed to early versions of it. That included low-spec audio streamrate; audio quality can now be indistinguishable from wired cables (if the headphones are any good). And it was accompanied by poor performance, lag, and pairing problems. Don’t get me wrong: I still prefer wires. But Bluetooth audio isn’t the pain it once was. But the bottom line is, I imagine we will increasingly see two categories of headphones. Pro headphones will continue to be analog devices. But consumer headphones will instead use connectors specific to particular mobile platforms, for better or for worse. That’s annoying, of course, so I would tend to file under “worse”. But as far as those of us who care about higher-quality headphones, I think very little changes. Feature photo (CC-BY) Ian Lamont / iphone.in30minutes.com. Accompanied by claims that “this would never have happened if Steve were alive” and “Apple has stopped innovating” and people completely forgetting how Apple has been doing things like this since the arrival of the iMac.